"I just got the MAP test report for Matthew and was positively surprised by his great great improvement in English and Reading performance." "Just got the results...HE DID IT!!! English 29 (best had been 27), Math 31 (best had been 27), combined English/Writing 27 (best had been 24) … Please thank your teachers for their hard work!! And thank you too!!" "The learning environment is friendly and the teachers are very warm and forthcoming. My kid's teachers are fabulous!!" 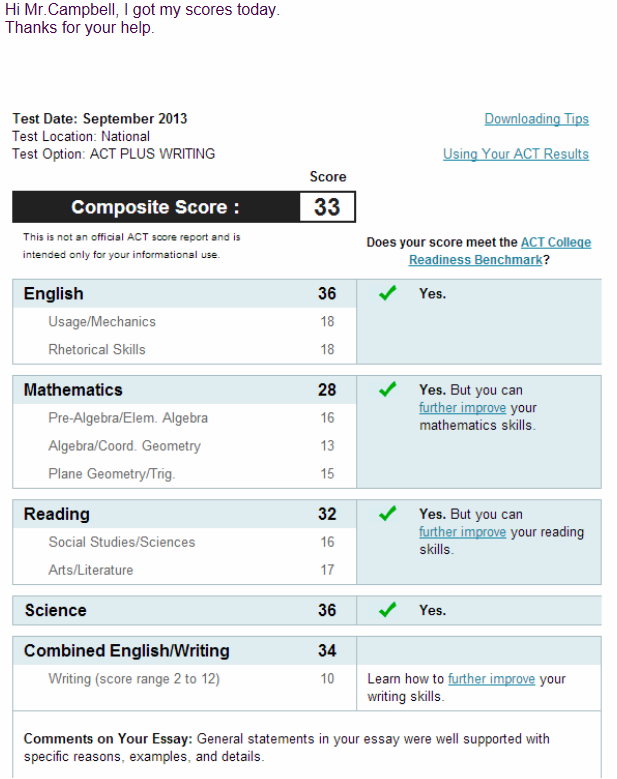 "Mitch scored 3 points higher on his ACT...I am so pleased with the results. Thank you for making the sessions so effective. When he was with another tutor, he could barely make it 1 hour; however, with your tutors, he had no problem working for 1 1/2 hours at a time. He never complained about going and, as you can see, he responded to the tutors quite well. Thanks again for all your help and your flexibility with Mitch's schedule." "My kids love coming to iLearn Academy. The teachers are great, and I really love the customized learning plans. I never dreamed my daughter would actually tell me she loves math! This used to be her worst subject in school." 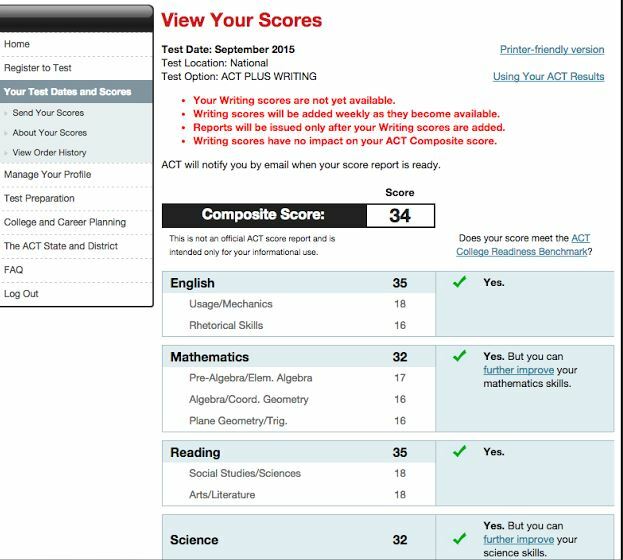 "I got a 21 for [ACT] science on the February test. 24 for science on the PSAE. Last but not least a 27 for science for the April test. There's a 3 point improvement with each test."